This is such great news. 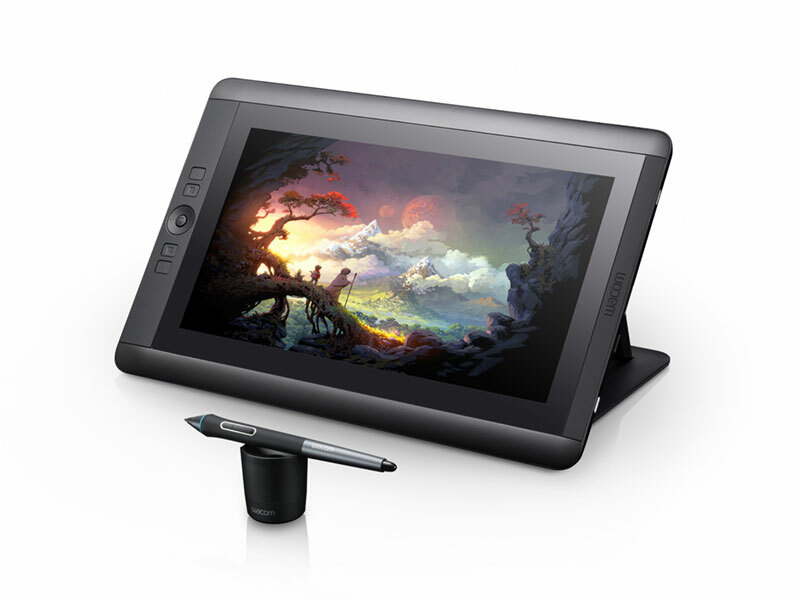 Wacom has had the most awesome pen displays and now a 13 inch model. What can be better for flexibility. Work with it on your lap or desktop. It has many of the features of it big brothers the 22D and 24HD like customizable ExpressKeys, the Rocker Ring, and the Home Button for easy shortcut access. The screen is a high res 1920 x 1080 LED display with nearly a 180° (178 to be picky) viewing angle and renders 16.7 million colors. The stand can be detached and adjustable to three different working angles or use it flat on your lap or desktop. It comes with a new Pro Pen in a care with 9 nibs. It has 2048 levels of pressure sensitivity and tilt recognition. Saturday March 16, 2013 – Predictions for a great Aurora Borealis were excellent. The solar activity promised the Aurora to display all the way South in Massachusetts. Being a big fans of this phenomenon my wife and I made reservations at an inn in Caribou, Maine. 7 1/2 hours later we were scouting out for good locations. The skies were clear as can be and the excitement escalating. We had dinner and drove out to the planned location. To cut a long story short, 14 degree temperatures were not going to stop us from photographing the Aurora. 5 hours later it is 3:00 and there is no sign of the event. We packed up and went back to the hotel. BIG MISTAKE – 4:30 the lights turned on and by 5:00 AM some of the most spectacular images were being captured but the lucky photographers while we slept soundly. While waiting I decided to take some short time lapses. Did one with the camera pointed at Polaris. This was a short 20 minute capture resulting in few seconds of video. 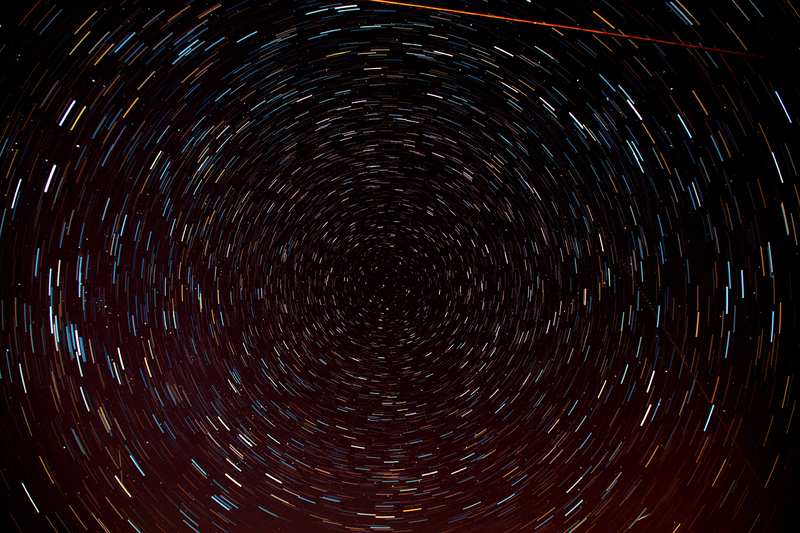 The individual images were then stacked to create a star-trail. The stack looks great – the glow in the lower half is light pollution from some homes and towers in the distance. Click on the image for a larger view. If you like street photography the Urban Disguise is for you. My favorite sling straps for my cameras. If you never tried a sliding sling strap, you are in for a wonderful experience. 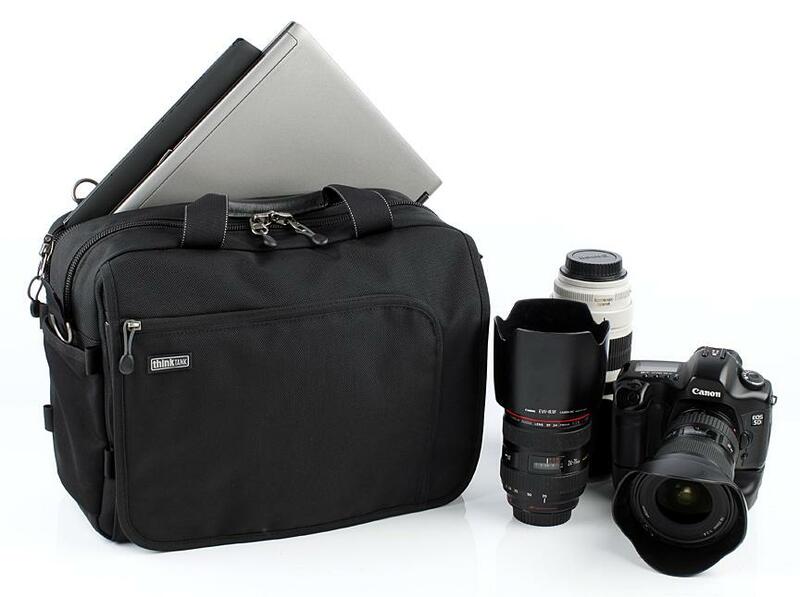 We are all familiar with sling straps on camera bags and some back packs. Sling straps are worn diagonally across your body to move the weight of your gear from your neck to your shoulder – resulting in a significant improvement in comfort. Sliding Sling Straps differ from sling straps in one important feature. Sliding sling straps have a fitting that slides along the strap. The fitting in turn connects to your camera. That means that the camera, which is attached to the fitting, can be brought up smoothly to your eye without pulling your clothing – the strap, which is a loop, does not need to move! Sliding slings trace back to 1885 where the slider was connected to a rifle http://www.rollanet.org/~stacyw/us_1885_carbine_sling.htm. The first commercial application that I found for cameras dates back to 2004. The product (still available), called simply “The Strap” is sold by a company called Leicagoodies, http://www.leicagoodies.com/strap.html. This sliding sling uses a detachable connector attached to a split ring which slides along 1” wide loop strap. There have been many embodiments of the sliding sling strap for cameras since 2004. The most popular are the Black Rapid straps and the California Sun Bounce Straps. Many smaller companies also produced sling straps. In 2007, Black Rapid applied for a patent on the sling strap. The patent was granted in November 2011. Black Rapid immediately moved to eliminate competitive products that used the sling concept for cameras. A letter notifying infringement of a patent and threatening legal action was sent from the president of Black Rapid to the manufactures of sliding sling straps and to camera dealers who sold competitive product. One manufacturer immediately stopped production of their strap; others modified their design to avoid an expensive patent infringement law suit. A relative newcomer, BosStrap, dropped the original design and took a different approach and completely different strap. Introduced in June 2012, the BosStrap Generation 3 Sliding Sling Strap is truly “unlike anything else” as BosStrap claims. I recently had an opportunity to try them and used two of them on my two 7D and 5D MkIII bodies while doing my workshops in Iceland. This product really is different from others. Careful engineering resulted in an elegant, functional design. To begin with, BosStrap uses a unique, double lock, patent pending attachment to the camera. This USA made product is different from other sling straps in that it attaches to the left strap lug on the camera, not to the tripod socket as virtually all other sling straps do. When hanging from the left strap lug, the camera rests in a much more natural way with the lens directed downward and backward allowing your camera nestle against you with your hip between the front of the pentaprism and the top of the lens. Hanging in this position tends to stabilize the camera when walking, yet keeps the camera grip at your hand for instant access. When you want to move to a tripod, you simply release the Generation 3 Tail strap from the slider. You do not need to unscrew anything from the camera, and you can continue to wear the light-weight sling strap without the camera. BosStrap has completely freed the camera’s tripod threaded socket from a strap connector. Your tripod mounting plate never needs to be removed from your camera. BosStrap claims that Nikon and Canon do not recommend carrying the inverted weight of the camera and lens by the tripod socket because of the possibility of internal seals being stressed in a way they were not designed for. There is also concern about the ability of the tripod socket to carry the inverted weight. You won’t find a shoulder pad on a BosStrap. I was skeptical about this lack of cushioning at first, but after trying it with my Canon bodies, I was convinced that the 1-1/2” wide strap really offers the same comfort that a bulky pad would provide. BosStrap works with an L-bracket too. I like to do street photography and have the need for a lot of flexibility and be inconspicuous. 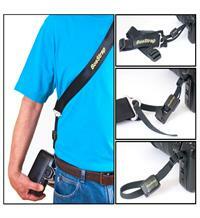 With a BosStrap, I can conceal my camera under my open jacket and not have a large lump from a shoulder pad showing. My camera is partially concealed under my jacket until needed – very unobtrusive and it is an excellent theft deterrent. An added benefit is that the strap can be wrapped around the lens when putting your camera back in the bag. A BosStrap is simply an efficiently engineered product that does precisely what it is supposed to do – provide very quick accessibility and support your camera in a comfortable, safe manner. Most important they are very reasonably priced. You can get them directly from Boss Strap, LLC or one of the many stores they have listed on their site. Join me for a one day educational and hands-­‐on Time-Lapse Photography Workshop. With digital cameras we have infinite possibilities to capture time-lapse sequences and create exceptional video woth even the simplest digital point and shoots to DSLR’s. 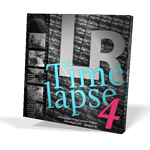 This intensive 1-day workshop provides the knowledge necessary to create advanced time-lapse videosfrom capture to the use of a well structured post-process workflow. We will split our time between shooting sequences and working through the post-process workflow. This includes importing images to exporting videos using applications like Lightroom, LRTImelapse, Quicktime Pro, Adobe Premiere Elements. We start the workshop with a formal presentation looking at the many uses of time-lapse imagery. Like in most of my workshops I will show you that you do not need to spend thousands to achieve awesome results. We will record two sequences and return to the classroom and use Adobe Lightroom to import, adjust, and export our first sequence. Next, we bring everything into QuickTime Pro to assemble the initial movie and move it to iMovie to add titles and other effects. Optionally we will use Premiere Elelments for MAC and Windows users (this will be based on what participants would prefer. This workshop is designed for the serious amateurs, hobbyists and emerging pros. There was an error in the NiK broadcast – NiK HDR Efex Pro was launched last year. BUT you can still use the link to buy or upgrade – this or any other NiK product. The new HDR Efex Pro 2 introduces a host of new and some much needed features. Last week while doing a one-on-one photo lesson, I hear the UPS driver honk in my driveway. I was not expecting any delivery but went out to see what he was delivering. You have a big package and it’s marked fragile so I will bring it in for you, he did. No indication on this big box as to the name of the sender except where it had been packed and shipped from. On opening it I got the biggest surprise. 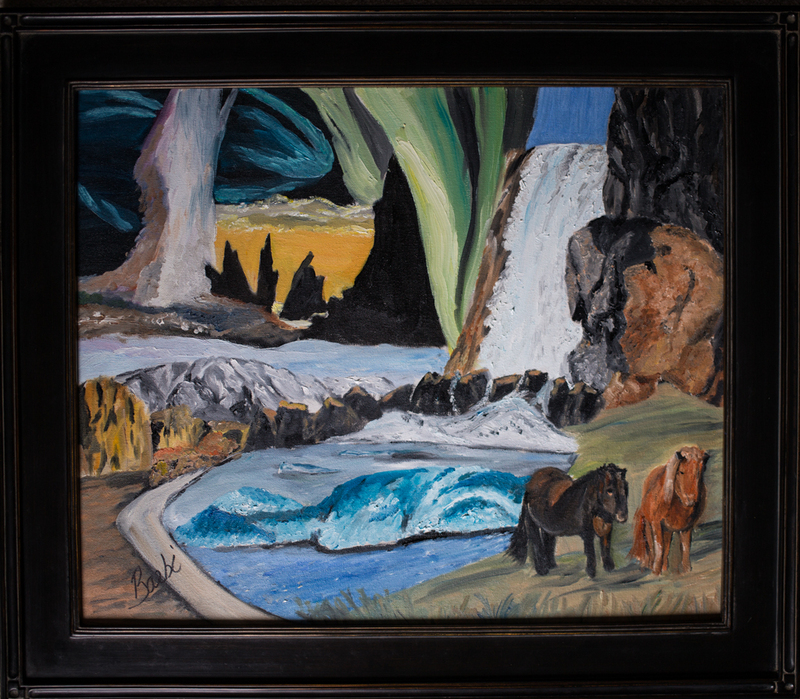 One of my wonderful Iceland Workshop participants had done an oil painting on canvas, had it framed and shipped out to us as a thank you – WOW – I thank you to Barbi. A painting that captures every element and the very essence of our trip. It will bring back memories of the wonderful trip and all the awesome places Iceland offered. I love all my workshop participants we have a good time and learn from each other. This small rendition does this painting very little justice but I had to photograph it and post it on my blog. Iceland – all of it.